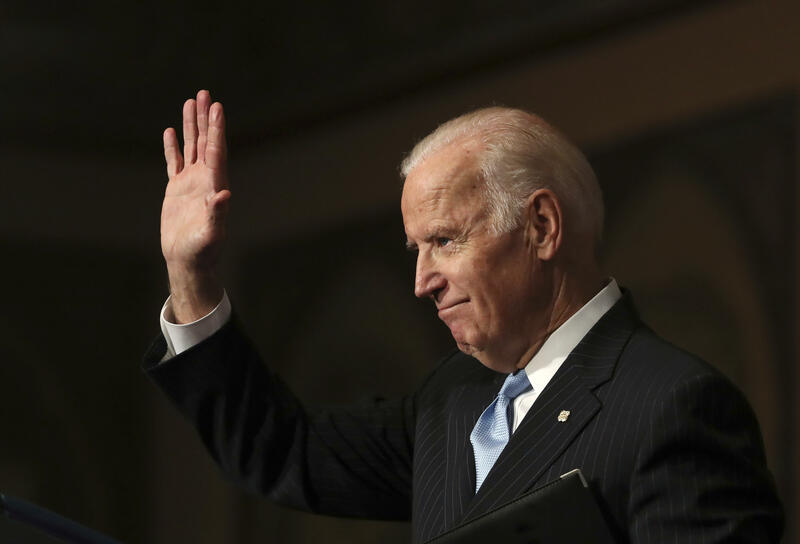 WASHINGTON, D.C. -- It’s more than a month before Donald Trump even enters the White House, but Joe Biden says he’s running for president in 2020. “I’m going to run in 2020. For president. So, uh, what the hell, man,” the departing vice president told reporters Monday with only a slight smile on his face. Given a chance to walk it back, he did - but only a bit. The vice president decided to not seek the White House in 2015 and instead backed this year’s eventual Democratic presidential nominee, Hillary Clinton. He ran unsuccessfully for his party’s nomination in 2008, when now-President Barack Obama selected him as his running mate, and in 1988. Biden was asked about his plans while chatting with reporters after presiding over Senate debate on a biomedical research bill he’s supporting. A senator for 36 years before becoming vice president, Biden was emotional after Senate Majority Leader Mitch McConnell, R-Ky., a friend, got the Senate to name a portion of the measure after Biden’s son, Beau, who died of cancer last year.